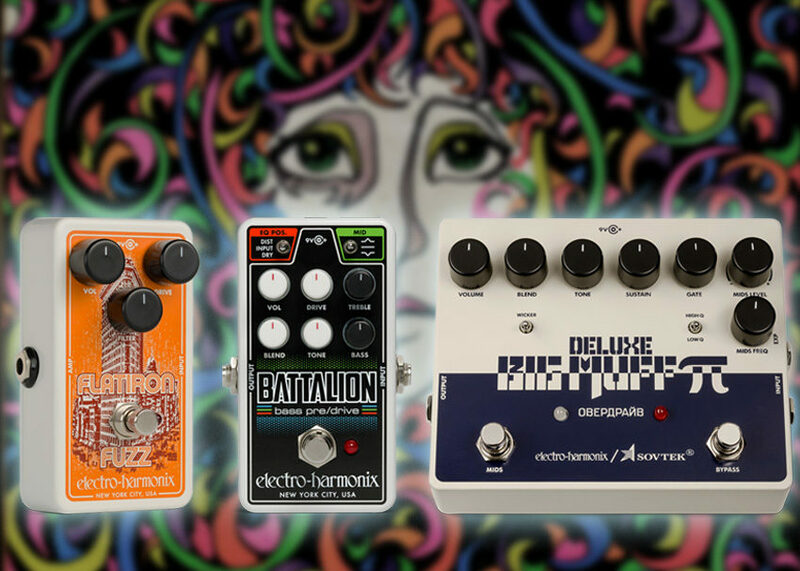 It’s been a busy weekend for Mike Matthews and the crew at Electro-Harmonix, as the New York pedal heads just released three new pedals aimed at bassists and guitarists alike. 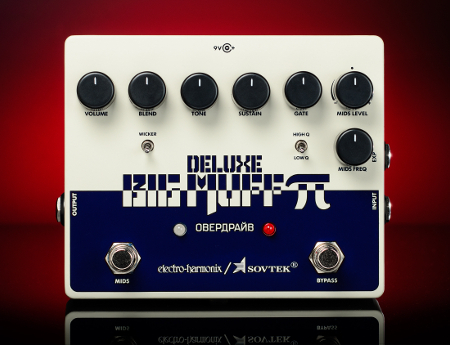 First up in the weekend trilogy is the Sovtek Deluxe Big Muff, a throwback to the old “Civil War” era Big Muffs from the early ’90s. The latest in EHX’s series revisiting famed Muffs of the past, this model contains the same base circuitry as the Green Russian Big Muff — so think beefy low-end and pronounced, un-scooped mids — and adds advanced tone shaping controls from the Deluxe Big Muff, like a tone wicker for wide-open high-end tone, fine-tuned parametric mid control that can be bypassed via a second footswitch, expression pedal input so you can sweep through the mids for a wah-like or cocked effect, and a blend knob to adjust your dry/fuzzed tonal balance. If you’re already a fan of the Green Russian as a foundation tone, the Sovtek Deluxe Big Muff gives you the sculpting tools necessary to make it a fine-tuned masterpiece. The next pedal up has EHX re-interpreting someone else’s history. 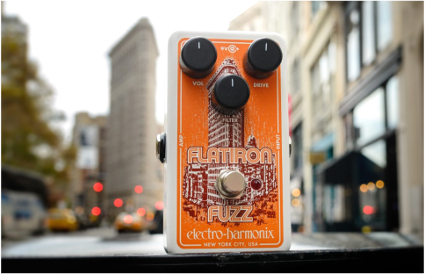 The Flatiron Fuzz is their take on a late-’70s ProCo RAT2 distortion pedal. The op-amp based circuit produces hard-clipping distortion for a unique tone that has long been a favorite in a wide range of genres. The Flatiron features similar controls as the RAT2, including volume, drive and the famed low-pass filter. Dial down the gain for a pleasant overdrive or turn it up for hot, biting distortion. Finally, the Battalion Nano is a compact version of the versatile full-size Battalion preamp and DI box. 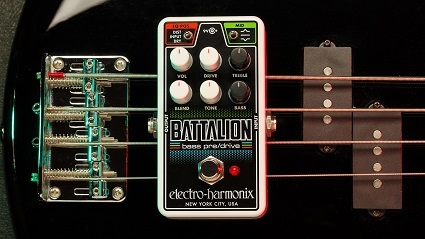 The Battalion Nano offers treble, and bass control knobs, plus at tone knob to trim high frequencies, and a mids switch to select from flat, boosted or scooped mids. Drive and blend controls let you set the gain to taste and blend it in with your clean signal just so. In addition, you can select distortion mode to have the EQ section come after the gain stage, or input mode for the EQ to shape sound before the gain stage. While the Nano does not have an XLR output like its bigger sibling, you can use a TRS 1/4″ cable to send a balanced signal out straight into a recording console or interface, or use a standard TS cable for plugging into an amp or pedal. No pricing information. Not being released until after NAMM? Hi Paul, we will have these 3 pedals up on zZounds very soon; definitely before NAMM! Good news Paul — these are all up and in stock on zZounds now!